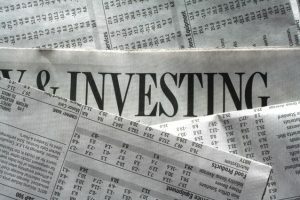 While there are lingering concerns around the cannabis industry, with the federal government scrutinizing state legalization measures and uncertainty about the effects of tax reform and unemployment rates, there is still a lot of optimism surrounding marijuana industry stocks in the U.S.
Cannabis stocks saw a spike around the holiday season, bolstered by an increase in spending overall in November of 2017. Some reports even indicated marijuana and marijuana products were a popular gift this year. Our marijuana attorneys urge you to check local laws and only purchase, give and transport commercial products legally. With reports showing possible economic growth in the U.S., it could mean a continued upswing for an ever-expanding marijuana market. The right factors seem to be in place to potentially see more people investing in the industry and more consumers with expendable income to buy recreational marijuana and related products. This trend is expected to continue with California recently opening up legal recreational marijuana sales in the state, thanks to the Adult Use of Marijuana Act, ushering in the potential for a great deal of commerce in one of the nation’s biggest markets. Cities across the state were able to decide for themselves whether to participate and how, with major markets such Los Angeles throwing their hats in the ring. According to an analysis of numbers from the North American Marijuana Index, the end of 2017 saw much growth for cannabis stocks in the U.S. This was despite overall markets (Dow Jones Industrial Average, NASDAQ, and S&P 500) falling the week of Christmas. This is good news for marijuana industry investors as to the strength of this market. However, our California marijuana business lawyers know these investments are still not meeting full potential due to nationwide concerns over Attorney General Jeff Sessions’ looming desire to reign in legal sales. Even though 30 states have now legalized marijuana for either medical or recreational use (or both), cannabis retains its Schedule I status at the federal level, making it akin to Heroin and cocaine despite being non-lethal and having medical benefits. At the moment, a stance from the White House is unclear, and the legislative branch is embroiled in other issues. The best bet before making any moves in the cannabis industry, whether in the medical sector or in new recreational markets, is to seek sound legal advice to help navigate the ever-changing legal terrain. We are still hopeful that the overwhelming benefits of the cannabis industry will overcome obstacles, particularly the hefty tax revenues brought in by the states. But our primary focus is on the laws and the uncertain climate we are entering. Our neighbors to the north in Canada have more to celebrate, with recreational legalization tracking to be put in place in the country this summer. They too saw a jump in cannabis stocks going in to the holidays, according to the Canadian Marijuana Index, while overall markets were unsteady. The North American Marijuana Index is calculated using the leading stocks among businesses with a strategy focused on the legal marijuana industry, with further division between the U.S. and Canadian markets.